Bonsai (miniature trees grown in containers) in a Tokyo garden, ca. 1880s. 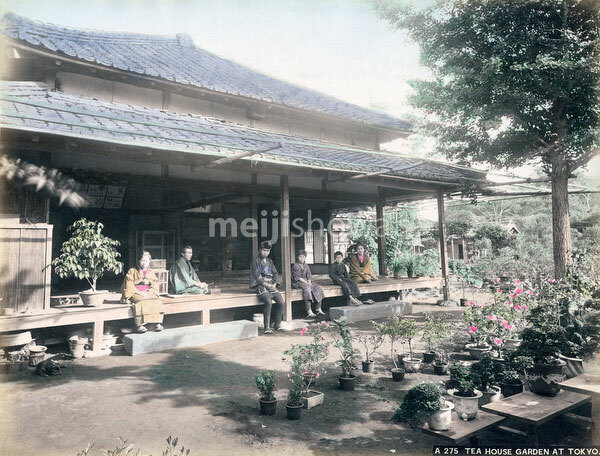 People are sitting on the engawa (縁側) of the traditional house. A bird cage can also be seen.